Jewelry – its personal, symbolic and can be a treasure to any beholder. A grandmother’s wedding ring, a mother’s pearls, a great grandfather’s military dog tags- all keepsakes that serve as comfort and a connection to one’s family tree. The memories of deceased family members hold a cherished place in our hearts. And for many people some of their most precious life memories include their pets. When our beloved furry, feathered, scaled (you get the picture) loved ones pass away we suffer a loss that is painful and just as great as the loss of our human companions. Personalized pet keepsake jewelry serves as a touchstone and a treasured connection to the memories created with our pets. At Bailey & Bailey personalization doesn’t stop with text engraving. The craftsmanship demonstrated with their photo, paw print, nose print, and line drawing engravings is outstanding. Hold close to your heart a sampling of a pet’s ashes in a chamber that is sealed with a rubber gasket that seals out water and air without sticky sealant. B&B’s proprietary square screw prevents the screwdriver from slipping upon sealing, avoiding scratching of the precious metal. 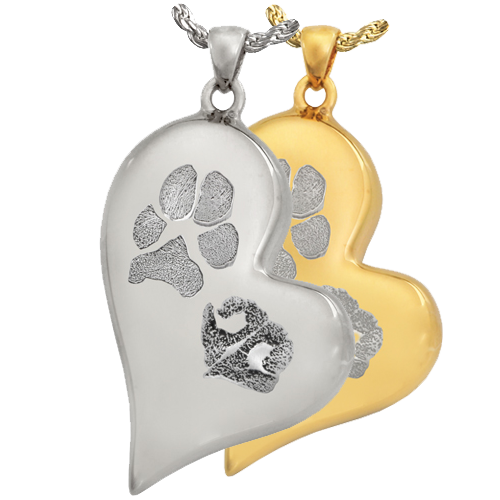 A pet keepsake jewelry piece doesn’t have to start as a memorialization. 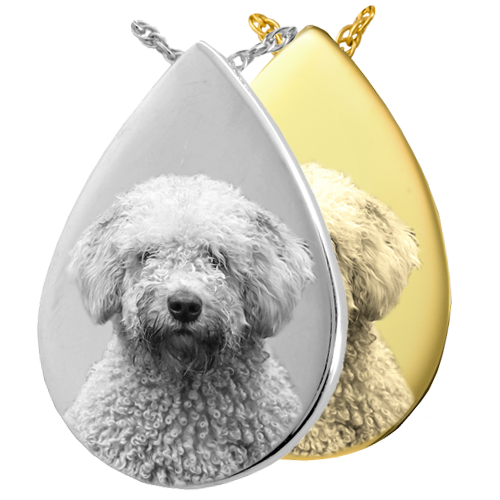 Capture a nose print of your sweet pooch and let B&B engrave it on a non-ash holding pendant, to be worn as a fun personal adornment. (Both nose prints and paw prints are best captured via a photo so no messy ink!). Have your kiddos draw a picture of your kitty and let the engravers use their precision and skills to create a lovely jewelry piece that can be treasured for lifetimes. 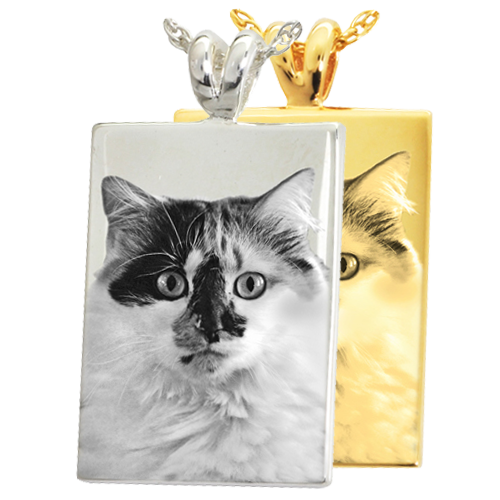 And of course photos of your animal companion turns a lovely pendant into a priceless jewelry keepsake. 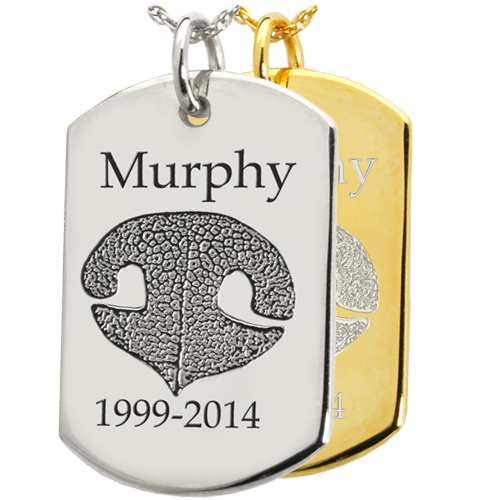 Take a look at all our personalized pet jewelry at http://www.newmemorialsdirect.com/wholesale-pet-noseprint-pawprint-jewelry.aspx and http://www.newmemorialsdirect.com/wholesale-pet-photo-laser-engraved-pendant-cremation-jewelry.aspx. What is it about the death of a celebrity that has such a profound impact on the masses. We don’t personally know these celebrities. And the fact is, we hear of people whom we don’t know dying every single day. When these non-celebrity- status strangers pass away we don’t cry or even give their death a second thought. We didn’t personally know Prince, Michael Jackson, Robin Williams or the like. Chances are we have never even occupied the same room as them, yet their death evokes distress in much the same way the death of a loved one would. With today’s social media culture fans are able to connect with celebrities in a way that is similar to our connection to friends and family in traditional relationships. This phenomenon, called parasocial interaction, refers to relationships that are one-sided and the person on the receiving end, usually a celebrity of sorts, is completely unaware of the friendship or even intimacy felt by the initiator. In fact, it is the single-sided nature of this relationship that encourages it. In parasocial relationships there is no chance of rejection and the onslaught of exposure of a celebrity through mass media allows for this “relationship” to flourish. Much more simplistic though than a faux relationship rooted in misplaced intimacy is that we have experienced memorable moments in our lives with these celebrities. I remember listening to Dancing in the Streets by David Bowie in the car on the way to my high school graduation. I will never hear Little Red Corvette again without conjuring up an image of my childhood best friend and me dancing in her bedroom. Or what about being on a first date watching Patrick Swayze tear up the dance floor in Dirty Dancing. These memories are what they are because of the totality of the experience- sites, smells, sounds. Whatever prompts a fan to grieve a celebrities’ death in what some may deem to extreme, grief is personal, unique to the experience and does not follow a rule book. Because these celebrities were participants in our lives – players in the memories from our formative years- we feel a significant loss upon their death. From dust, to dust… Our living body is made up of earthly elements. Our flesh and bones are the Earth element. Our body fluids, urine and blood are merely the Water element. Our living body, a universe in and of itself, creates its own Fire and heat. Our breath is the air element and essentially our life force. Nothing in nature breaks down instantly. Each element perishes in its own time. It’s common understanding that our air (breath) element is the first to leave, then perhaps heat.Our being, a soul, spirit or consciousness, however, will stay connected until it realizes that it’s dead. Ancient Sutras in the east claim the “Being” will leave the body when it becomes cold if not sooner. Can you hear after death? It certainly makes sense if the bodies Earth materials are still strong after air and water have surrendered. Somewhere between science and belief is the truth. Every culture has a different truth and a diverse practice about death and the possibility of an afterlife. Eastern cultures practice in their ability to let go of all attachments to the body at the time of passing. This is because the superstition is the body becomes so sensitive that it can feel like a turtles shell ripping from the skin if someone touches you. Think about this while signing an organ donor agreement. There is also the belief of complete freedom from the burdens of the body. Our mind decides whether peace or pain prevails. Eastern philosophy is a process to be transformed on a path to liberation from suffering this cycle. The western philosophy can be more comforting; we pass and arise immediately from our body. The Tao Te Ching simplifies all cultures sentiment on death beautifully. We are ultimately at peace and untouchable. “No tiger can claw him. No buffalo can gore him. No weapon can pierce him. We all know someone who has communicated with a loved one, an entity, a trespasser in an old home or, at least, had an experience with the paranormal activity. If we don’t know anyone then we ourselves may have had an experience. Are these real or a figment of our imagination? Was it really a ghost that tugged on your jacket at that old asylum or was it simply a blackberry bush? Our fascination with ghost stories stems back to our spooky campfire stories in our youth. What happens when they are no longer legends, but actual encounters? You wake up at 3 am in a cold sweat and see a familiar face at the foot of your bed, a dead face. It becomes clear that this isn’t your imagination, or is it? Many scholars believe visitors choose the early hours to visit us because our minds are more present and receptive. According to the documentary, “What the bleep do we know,” we do not tend to see things we do not have direct experience with. Native Americans could not see Columbus’s Clipper ship at sea because they had never seen a ship before. There was no reference for their minds to properly make the correct association. The Tribe Shaman, whom the village wholeheartedly trusted was the first to perceive such a foreign vessel. After days of observing this, he was able to convey the mystery to the tribe. The tribe trusted the Shaman so much that they also began to see the ship. Doubt will kill the mind and its progress. Are ghosts all around us and we just don’t see them like the first ship coming to America? There are more questions than answers for most of us. Think about this, the next time your cat intensely stares at something you can’t see. They SEE something. We really need to have a casual date with death. Not a Grim Reaper or stark family in black kind of date, but a casual cup of coffee and free flowing conversation about it. Can we talk about the inevitable with a sprinkle of humor on top of it? New generations crave the transparent honesty of talking frankly about death as an open subject. Funerals are sad and depressing. How about a more non-chalet approach. More Friends, less Downton Abby. Where does the “sad” come from? The sudden void of someone in your life is indeed unsettling. We miss the person and feel sad for us. We want to prove our loyalty and appreciation. Sympathizing with the family, it also hits us, knowing that death is so close to us. When someone dies, we feel one step closer to loneliness. Looking past sorrow, you can see death for what it is. An exciting adventure. All is revealed after death. Are our religious beliefs true? Does it even matter? Perhaps the world really is our thoughts, a mental projection. What about the Big Bang Theory? These are the honest discussions humans crave to talk about in an open non-judgmental forum. We seem to be sure of death even though we know nothing about it, really. It could be wonderful and euphoric, not dreadful at all. Let us be wide open, positive and casual about the mysteries, the sadness and the beauty of dying. Finding Nemo, Bambi, The Lion King, The Princess and the Frog, The Land before Time- what do all the children’s animated movies have in common? As most made for kids movies, these films are all seemingly innocuous tales of good triumphing over evil. They are inspirational stories that make kids want to be the best person they can be. But what they all also have in common is an impactful death scene. For many children- the fortunate ones anyway- at least one of these movies ranks as one of the biggest tragedies of their childhood. These iconic death scenes were and continue to be traumatizing events in children’s lives. In the movie Bambi, Bambi’s mother falls victim to a hunter’s gun. Though not visible the audience hears the shotgun blasts and sees Bambi running through the forest desperately yelling for his mother. In the Land before Time, the audience sees Littlefoot’s on-screen witnessing of the death of his mother. Nemo’s mother and siblings are killed by a barracuda and Nemo narrowly escapes with his own life in Finding Nemo. In the movie the Lion King, Mufasa is killed by a stampede of wildebeest. The audience has to witness not only the violent death scene, but also the range of emotions that Simba experiences believing the death was his fault. So the question is why do these films, intended for a young audience have so much death? Perhaps it’s the sympathy that is evoked by a child orphaned by his parents. As an audience we innately want to root for the underdog. What better hero than a kid served up a platter of bad luck and coming out on the other side a well-adjusted, compassionate and generous contributor to society? Or perhaps it’s simply that kids really can’t go on a super cool adventure with his parents reminding him to be home by dinner time, or to wear shoes for fear he might step on a rusty nail. In all truth though, a child would be considered lucky to have his first glimpse of the end of a life be a cinematic event instead of a real-life tragedy. However fictional, these on-screen deaths in the eyes of a child can be an impactful moment in his or her life. Did you know Mylar balloons never breakdown? Those Happy Birthday metallic balloons we give with the best of intentions are stuck on this earth forever. Water bottles and to-go latte cups will be around for hundreds of years after we’ve enjoyed them. When we walk on a trail in the National Forests, there is a sign, “Leave only footprints.” This is a reminder not to leave trash and other signs of disturbance. We are wasteful, but we are learning to practice an Eco-friendly way of living. What about an Eco-friendly way of dying. It’s a hard thing to think about but knowing you leave only footprints can be comforting. There is a new revolutionary suit that zips around a body and helps it decompose faster. How does this work? The suit is infused with mushroom spores. Alternative embalming fluid and a liquid spore slurry. The dry mineral makeup and mushroom spores combine with the separate liquid culture medium. Is it possible we are changing our entire viewpoints about death from the stark nature of our ancestors? A more casual approach to burial like the eastern cultures. In India, they burn bodies or throw them in the Ganges River. This is considered holy and respectful. This is not the cleanest way to dispose of bodies since the water becomes full of bacteria. We are moving from expensive mahogany coffins and embalming chemicals to turning your ashes into a tree, a burial at sea in an eco-friend clay urn as well as whole body pods growing trees and mushrooms. Leave only your footprint or paw print on this earth. Bio cremation… Acid, pressure chamber, slime- all the makings of a really narly sci-fi movie, right? This is exactly why this very real method of body disposition upon death is receiving so much criticism despite its environmentally friendly attributes. Proponents of this technology though believe it is simply a matter of education and understanding that will breakdown the opposition to this toxic-less cremation method. Unlike traditional cremation that relies on flames, bio cremation involves placing the body in a chamber filled with water and an alkaline called potassium hydroxide. The combination of heat, chemicals, water and pressure causes the breakdown of the human tissue, leaving remains of only liquid and bones. It is a much less traumatic method of breaking the body down than using flames is, and in fact the water/alkali solution is the same used in most cosmetics and skin care products. This residual liquid is safe and biodegradable and can be disposed of in the city’s sewer system. Despite this superior method, environmentally speaking, at least, there are currently only 13 states and 3 Canadian provinces where bio cremation is legal. The idea of your loved one being reduced to brown sludge can be disturbing and quite frankly, gross. Furthermore, changing laws requires time, money and efforts to educate lawmakers. Miseducation and lack of information though will only be an excuse for so long in a time when the need to invest in our ecological future is critical. We’ve all noticed it. The room that Granny Jean sleeps in when she comes for her week long visits continues to be inhabited by her smell long after she has gone home. Or what about the elderly couple you stand behind in the line at the pharmacy. In fact you could be blindfolded and be able to identify what decade of their life that that couple is experiencing. Most would describe the odor the same- not unpleasant, but distinctive for sure. There are many theories as to why this old person smell is a very real thing. Some are linked to the lack of ability of the elderly to take care of their basic hygiene needs. Older folks also tend to be colder. They have their heat running more which leaves their living environment stuffy. Additionally, because they don’t sweat much they often re-wear their clothing- getting several days out of an outfit. As we age we produce less saliva. That leads to dry mouth and a breeding ground for bacteria which can be very odiferous. Finally the smell of medicine is, for obvious reasons, often prevalent on the skin of the elderly. Though all these things may be legitimate contributors to what we think of as “old person smell,” scientist have found a much more specific and equally significant offender. It is a chemical compound called 2-nonenal. It comes from a breakdown of the secretions from skin glands. Just remember that next time old Uncle Fred comes to town, it’s not his fault he smells that way. It’s his 2-nonenal! Sensory marketing refers to appealing to consumers senses in an attempt to influence buying behavior. In this age of technology where shopping on-line has become as commonplace as brushing your teeth, the value that consumers place on brick-and-mortar shopping cannot be overlooked if you want to maximize your revenue opportunities. Customers truly prefer the hand to touch shopping experience over the digital experience, when given the opportunity. “Nearly 40 percent of consumers make purchases inside a physical store at least once a week, compared to just 27 percent who do the same online, http://www.businessnewsdaily.com/7756-online-shopping-preferences.html#sthash.4P9FRAjT.dpuf. We are an e-commerce business. We have a professional, extensive and user friendly web-site. We like to think that our catalogs and on-line images do a wonderful job of depicting our cremation jewelry. But what about the opportunity to increase revenue by creating a sensory experience for your families. Our jewelry displays can do just that. Have you considered adding to your arrangement room a grand jewelry display? It includes 32 pieces of fingerprint jewelry of your choosing. Or how about an all in one tower which includes over 50 pieces of cremation, fingerprint and photo jewelry, signage to advertise your pricing, the display forms and the display tower? At the time of dealing with a death of a loved one decisions are made quickly. Family members are emotional and vulnerable and they need decisions to be simple. There is no energy or time to do comparison shopping. They need to be reassured that the decisions they are make are the right ones in the long run. If they can actually hold in their hands the pendant that will hold the cremains of their lost love, they can make a connection with itt. If they can create an image in their head of that certain photo they would have engraved on the dog tag that is right in front of them, the sale is more likely. Click on the link below or give us a call today so we can help you determine what display is right for you!